To get the FREE Appalachian Mountains Backroads Map fill out the form and submit. Over 1,500 miles of vetted byways climb to the edge of the horizon and descend thousands of feet to verdant valleys below. 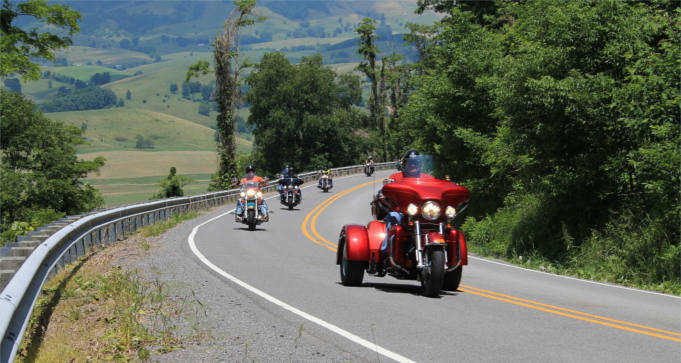 Connect to our Appalachian Backroads from the famed Back of the Dragon which boasts 3 mountains, 260 curves in 32 miles. Spurs off the main routes offer one-of-a-kind adventures that will keep you coming back for more!